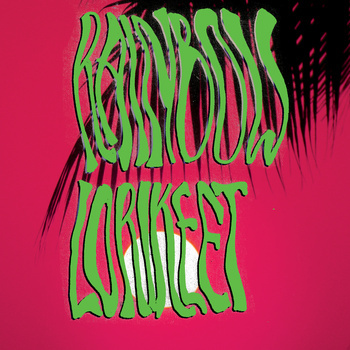 One of a slew of recent releases by Seattle label Debacle, Rainbow Lorikeet’sFractures stands as an anomaly even in a catalog abounding with diversity. A malevolent, beat-oriented work in the vein of world-class dark magi like Techno Animal, Scorn, and Demdike Stare, Fractures oozes unsettling atmospheres while keeping your head nodding—even as you nervously glance back in paranoia. Rainbow Lorikeet—Italian producer Nicolò Tescari—sculpts subtle, shudder-inducing textures into powerful instrumentals that skew too bleak to bear something as mundane as vocals. The five tracks on Fractures represent a rare example of an unsolicited demo sent to a discerning indie label that not only deserves release, but also worship. Check out the video for “Abell 2667,” a highlight from Fractures, directed bySara Cattin. Bonus points for shooting it in a setting totally incongruous with the track’s trepidatious, nocturnal aura. REVIEW on DEAD FORMAT: I have mentioned my love for Debacle Records and all they release before so I won’t go into it although you should check out their first 12″ that just came out. Crucial… Anyhow, Debacle Records is quite eclectic in its releases; you get noise, drone, black metal or electronic depending on the release and it’s all held together by Debacle’s strong sense of musical taste. This record falls more into the electronic/beat driven area of their interests. It has a vibe of some of DJ Shadows more laid back tracks but with some more bent synth sounds that come off as almost noise. Maybe comparing this to Boards of Canada meets Autechre would be more appropriate. It’s hard to say as this is a genre that I really don’t know that much about. I am sure there are more accurate comparisons but of what I do know I think this deserves to be right up there. All I know is that is is good. Visually it’s kinda weird. Hot pink and kelly green are always a stomach turning combination and with the reverse of that on the inside you get a double punch of that. It actually works pretty well but it still makes me feel a little ill. The typography is pretty good but the font chosen with those colors hurts legibility a bit. It has the look of something that was designed in photoshop instead of indesign or illustrator and that can cause some issues are the images that seem to pop up. Although sometimes in the printing those things can occur. Would I buy this? On looks, maybe, but the sounds are good enough that I would definitely look for this had I heard it on the radio first.